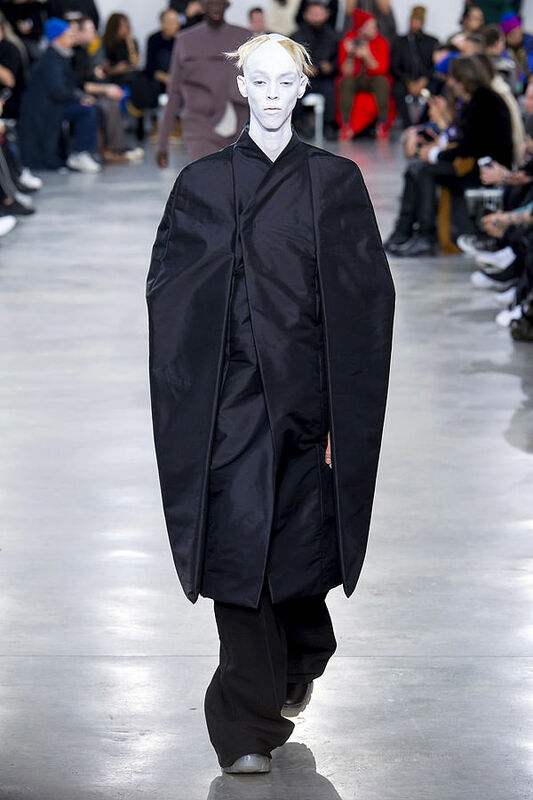 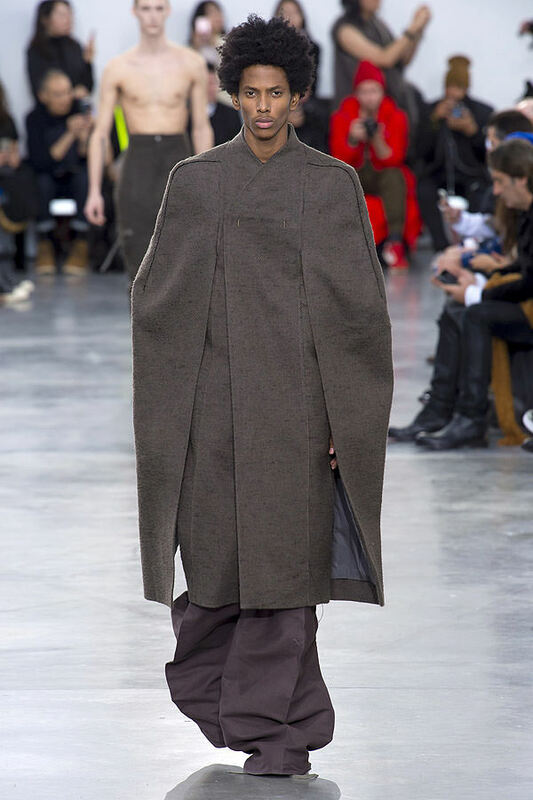 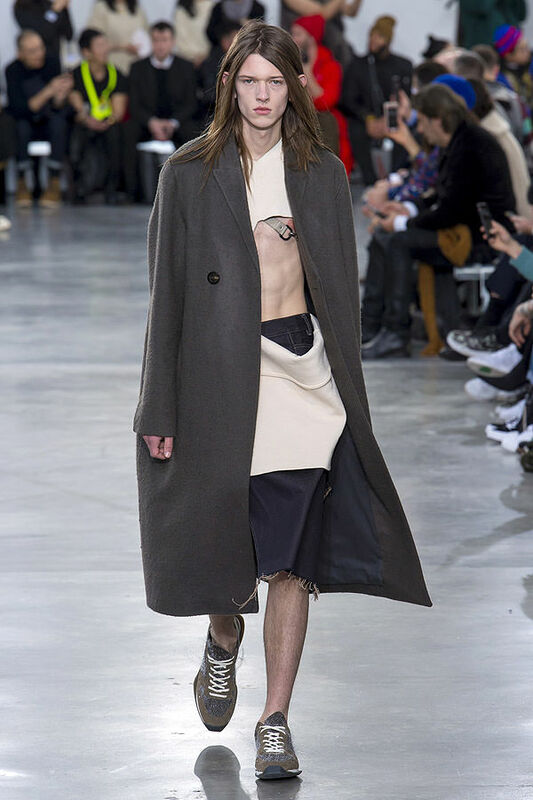 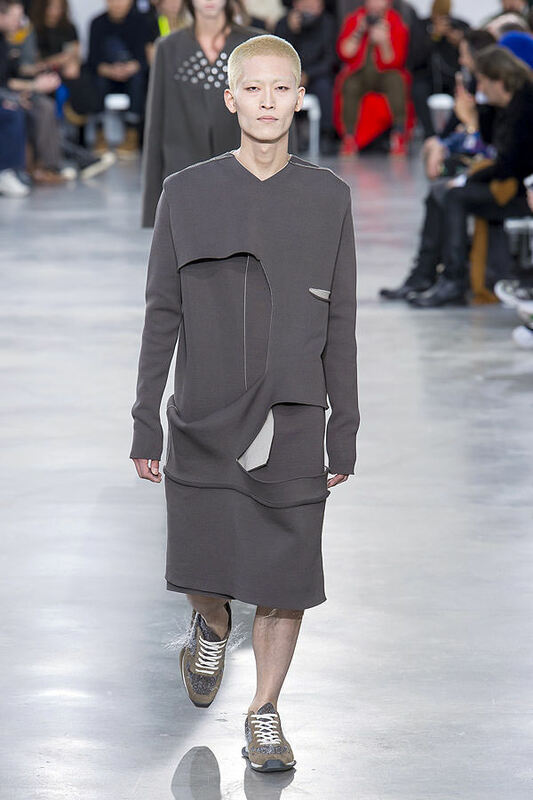 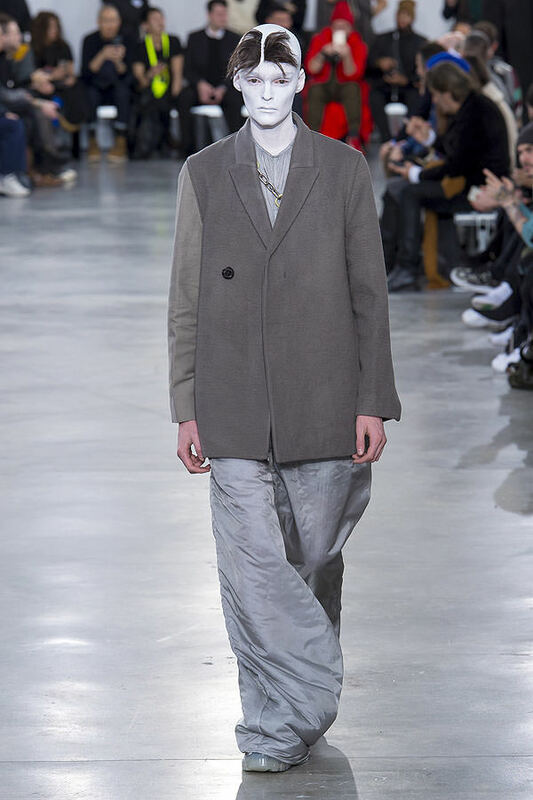 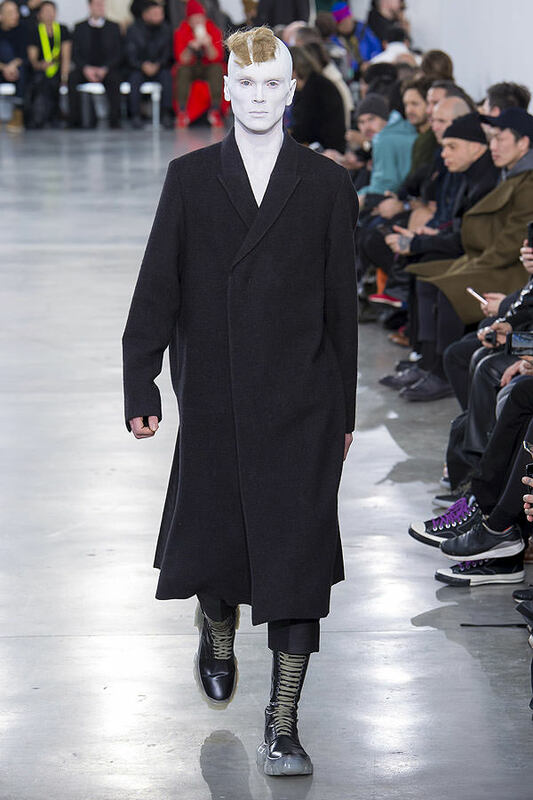 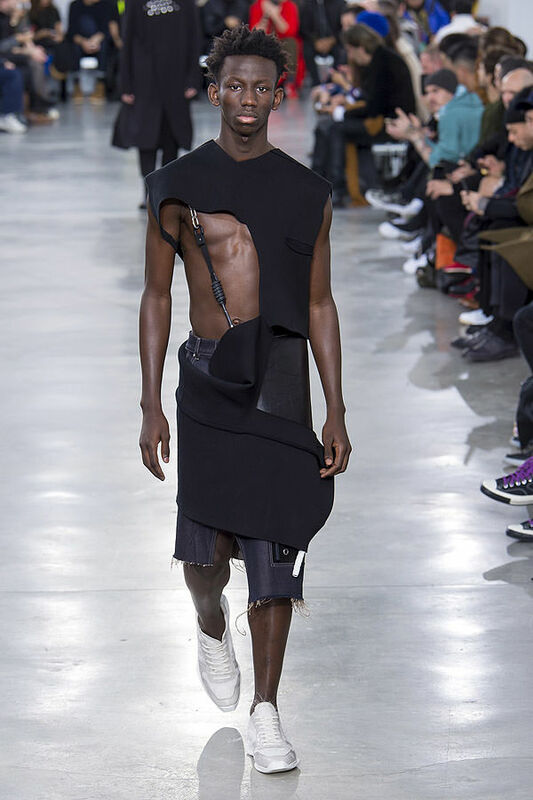 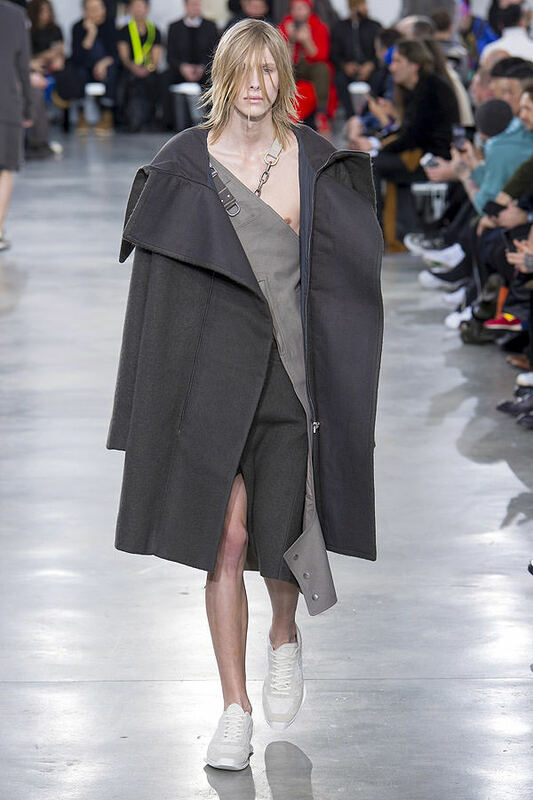 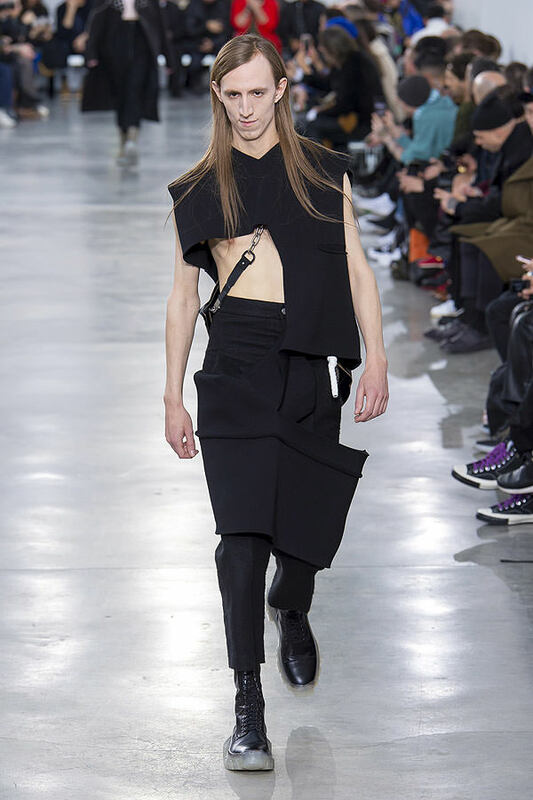 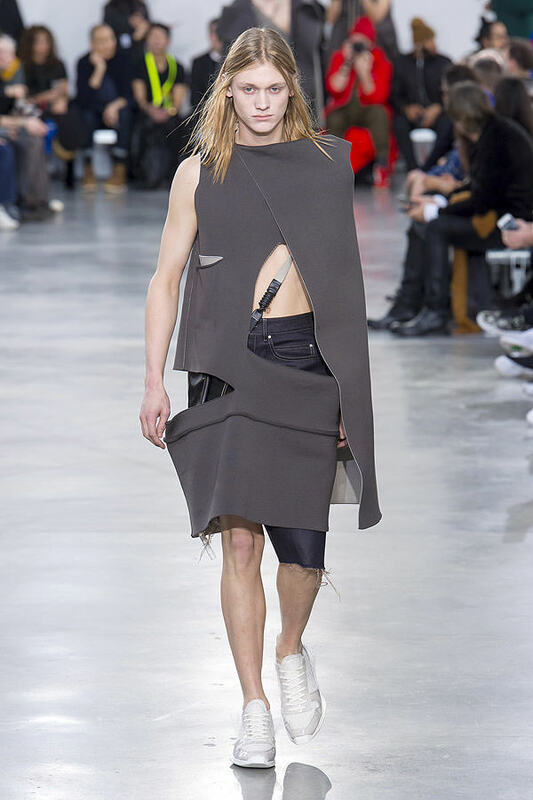 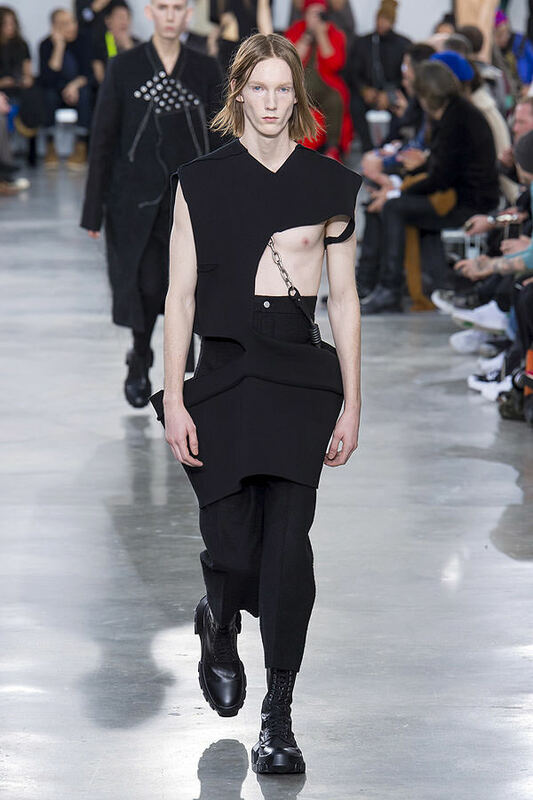 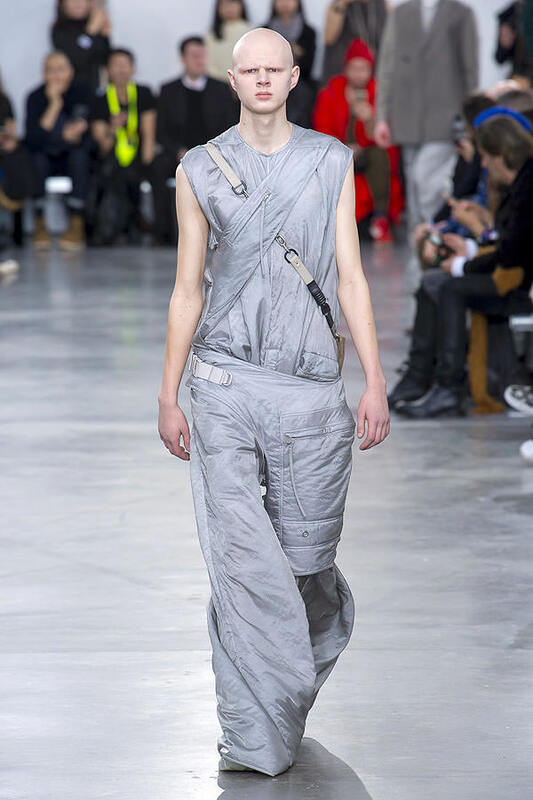 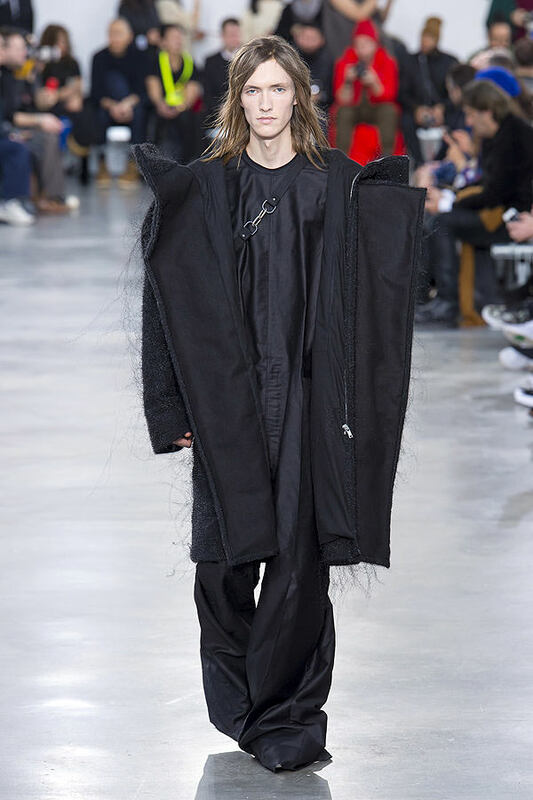 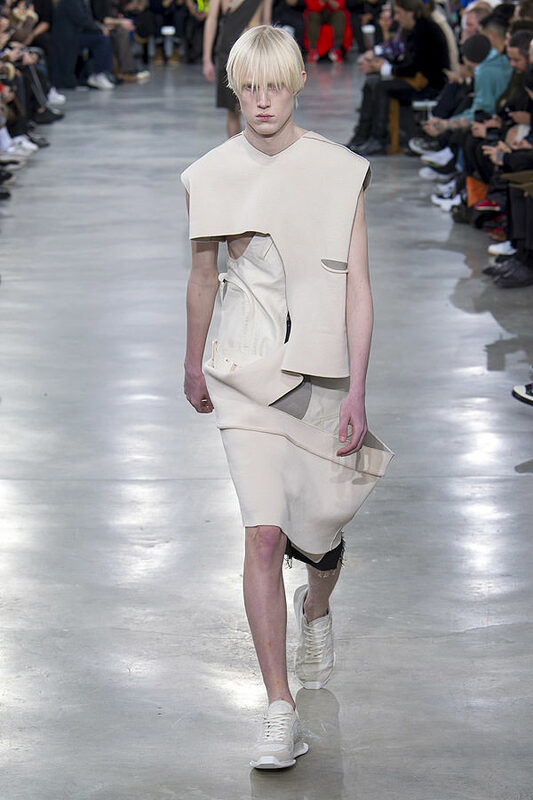 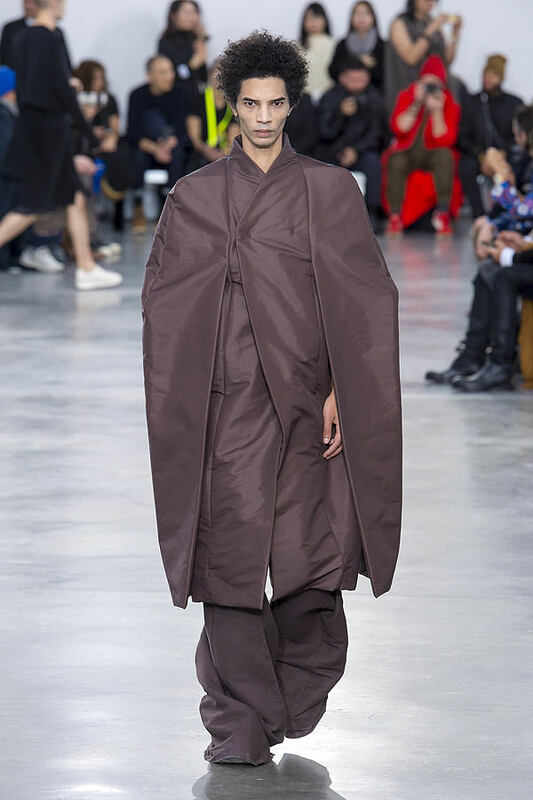 Confronted with bureaucratic and logistical limitations in the run-up to his exhibit in Milan, Rick Owens decided to channel the angst he felt into his fall men's collection. 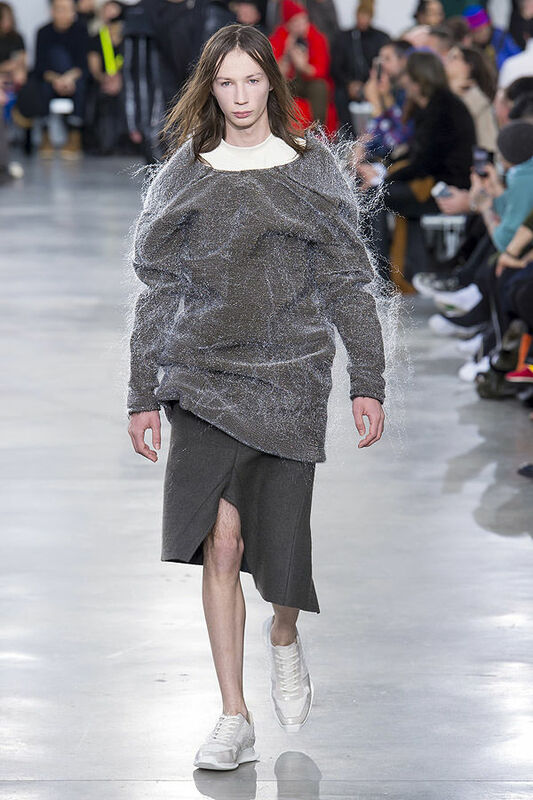 And he titled it Sisyphus, after the king in Greek mythology whose punishment for a lifetime of hubris was the eternal uphill pushing of a boulder. 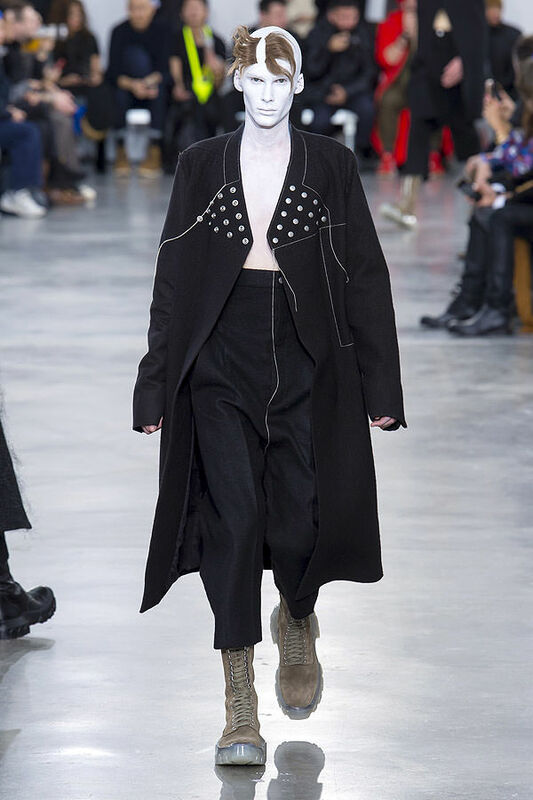 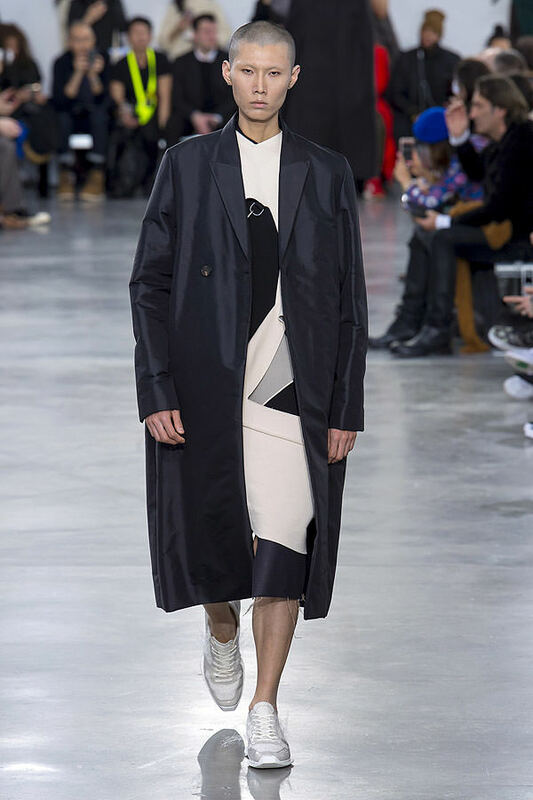 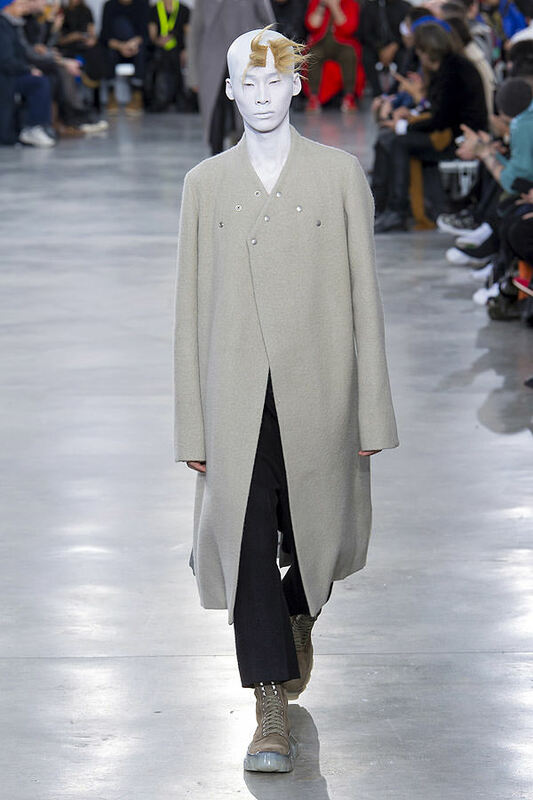 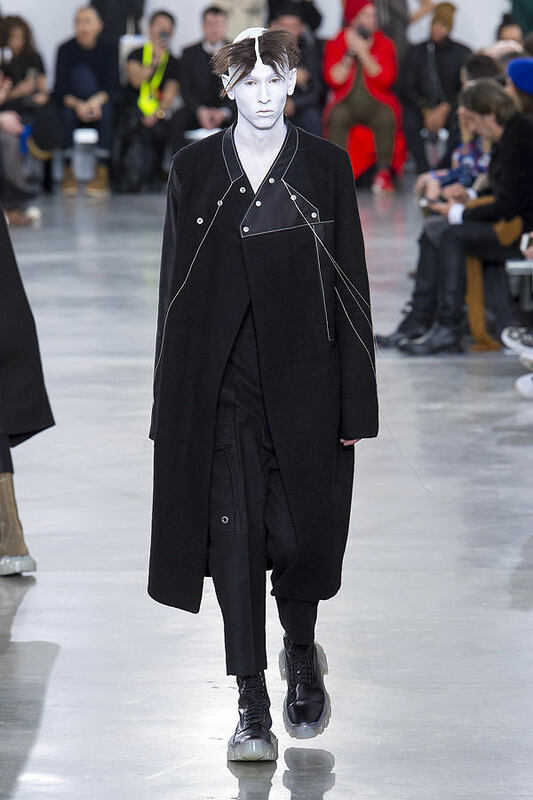 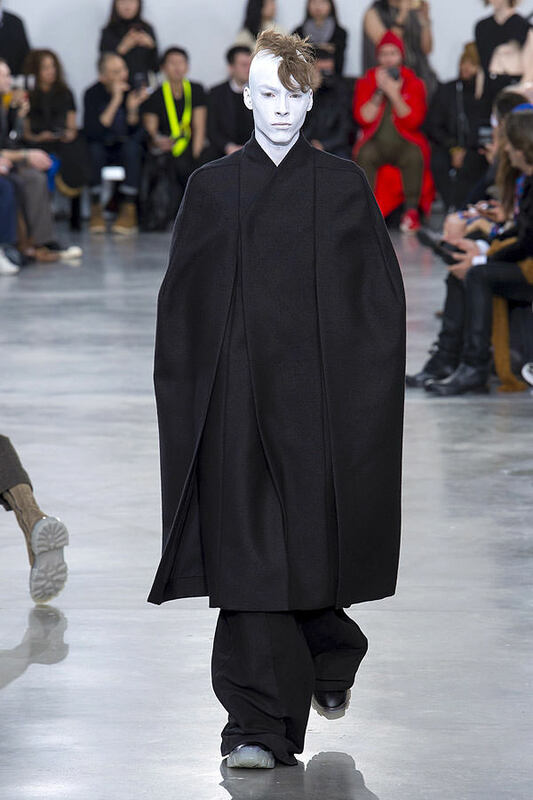 Inspiration by frustration, it seems, was the method by which Owens arrived at the slashed shapes, teetering lumps, and labored coats and capes that marked this collection. 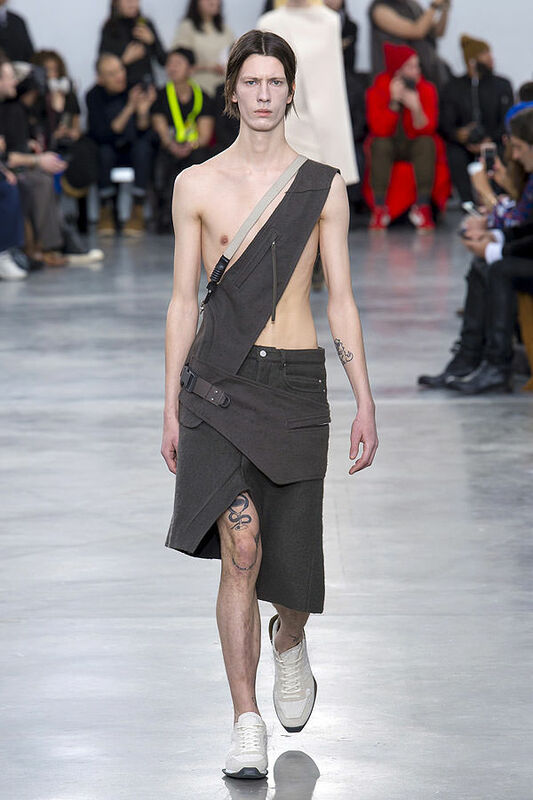 Taut straps and chains barely held together the hulking heft, with its troglodytic palette of grays and browns. 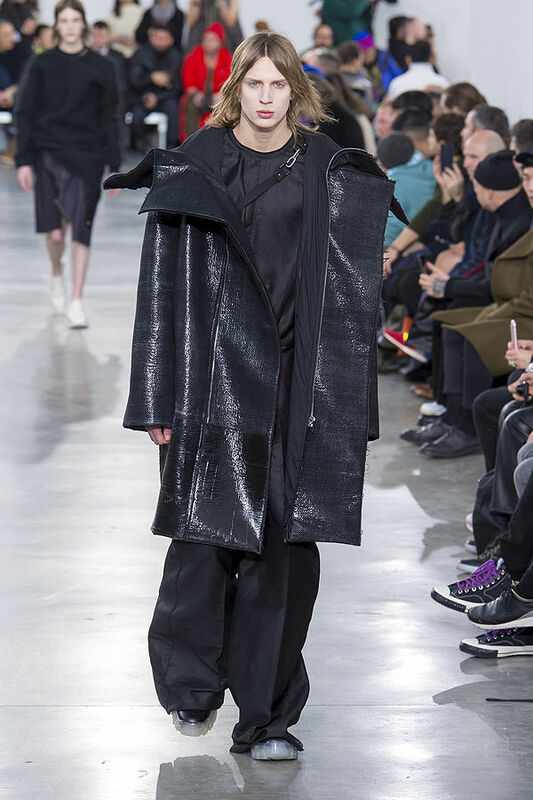 For a designer accustomed to forging his own path, this was a return to the tense, primal, brutalist impulses that have made him a reliable rock in fashion, its touchstone.